PARKETTE GOES INTERNATIONAL (KIND OF)! 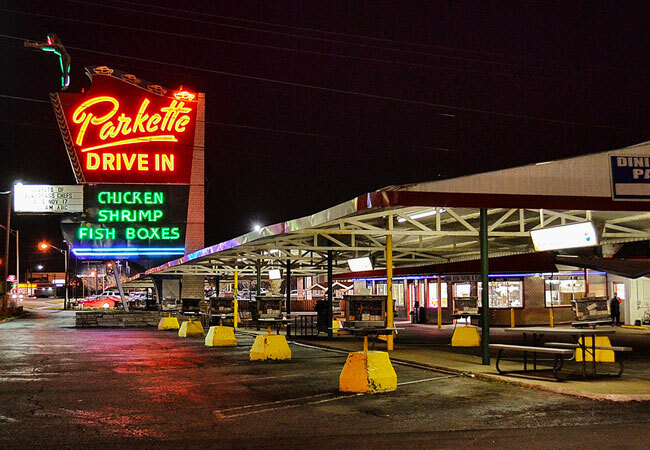 The World Famous Parkette Drive-In Restaurant, in Lexington, has had the honor of being selected to participate in an award winning German TV Show called Job Swap. Two German employees of a "Classic Diner" in Germany will be coming to work at Parkette for 3 days. Also, Two Parkette employees will be going to Germany to work at the Classic Diner, there, for 3 days. The participants work and leisure activities will be filmed and aired on the "reality style" TV show.